Credit to Claire Gray for creating this one. 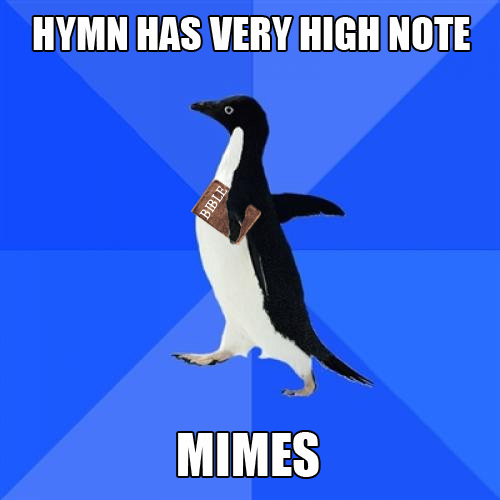 This entry was posted in Memes and tagged high note, hymns, socially awkward penguin by masterofthememes. Bookmark the permalink.